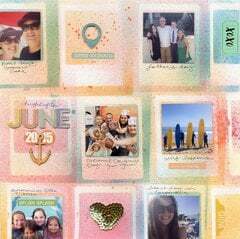 Are you ready for your scrapbooking to be easier than it's ever been? Then these universal page protectors are the perfect fit for you! Scrapbook.com's Universal 12" x 12" page protectors for 3-ring albums make it wonderfully simple to load up your 3-ring album with page after page of memories that will be protected for years to come! Compatibility: These handy sheets are the perfect companion for all 12" x 12" 3-ring albums or binders from Scrapbook.com, Kaisercraft, We R Memory Keepers, Pebbles, Doodlebug, Bo Bunny, American Crafts, Project Life, Pioneer, Keeping Memories Alive (KMA), Simple Stories and more! Top-loading & easy to insert your pages. Even when your fingers are tired from a long day of crafting, the page protector is easy to separate! Each page protector is strong enough to hold two pages or layouts back to back. Make sure to insert only one page at a time to avoid damaging your masterpieces! Once you've inserted as many page protectors as you want, gently grasp the center album ring again and gently (and carefully!) apply pressure to snap the rings closed. Be mindful of your fingers so you don't get pinched! Now that you've added your blank page protectors, it's time to fill them up! When your page or layout is ready for display, easily slide your finger between the two layers of the page protector pocket to open it up! Slide first one bottom corner of your page into the open pocket, then carefully add the other bottom corner. Looking for even more options in albums and Universal page protectors? Shop the whole Scrapbook.com Album System collection now! I am fairly new to scrapbooking and started by using the cheaper albums with the little posts. 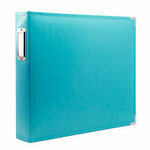 I have not been happy with those so I decided to try the 3 ring binder type albums. I searched online and these seemed like a good value and had good reviews. I was a little worried these might be a little flimsy, but I shouldn't have worried. These are very good quality and a very clear color. I am very happy with this purchase and will be buying more. I am really impressed with the quality of these page protectors. They look and feel identical to We R Memory Keepers brand of page protectors. The weight of the plastic is a nice weight, not at all flimsy. I have been using a fuse tool on them for a special project involving various sizes of photos and they are working very well with the tool. I will definitely be purchasing these page protectors again in the future. These are really clear but do not have the annoying glare that some other protectors have. I needed extra refills for 2 different albums. I bought one pack, used half for one album and half for the other. They fit in both perfectly in both albums, so I'm a happy camper. 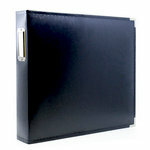 These page protectors are a nice weight and are great to protect pages with embellishments in albums. AND I also use them to store sets of papers. When I have a few single sheets of 12x12 paper that have matching embellishments, sticker sheets and/or smaller cutouts, I like to keep all them all together in one of these page protectors. Then I can slide it right onto the shelf along with the 12x12 pad of paper. No more wondering if I have anything that 'goes with' that selection of paper. At last someone created page protectors for my 3-ring scrapbooks. Now I don't need to punch each protector so it fits. I'll never use the others protectors again. Thanks for stocking these great new products. This is a wonderful value! As an avid scrapbooker I use a lot of these page protectors and I have yet to find anything that beats this quality or price. When they run their special I stock up! Make sure you are on their email list so you don't miss any of their great values! I purchased the Universal page protectors because I have many albums and they will work with any brand. I heard about this watching a Youtube video from CHA 2015. The price was very good for the 50 pack. The quality is good also. I have ordered both the 4 x 6 and the full sheet 12 x 12 page protectors for my photo albums and am very satisfied with both. These are great quality, very sturdy, but the plastic is thin enough to not add bulk to the albums. The photos are clear inside them, too. All this, and at a terrific price that beats any other place I've found. Order with confidence! Are these the exact same size as the WeRmemory Keepers page protectors for 3 ring albums? Would love to switch but have to have the same size as I am adding to past years that I didn't complete and need the exact same width and height. By: jmortansmith (18-Mar-15) Helpful Question? Yes | No Thank you! Report Inappropriate This question has been reported. Thank you! Yes, they are the same size. By: jackiebaker (20-Mar-15) Helpful Answer? Yes | No Thank you! Report Inappropriate This Answer has been reported. Thank you! These seem great to use for 12x12 card stock paper. Does anyone know how many sheets of paper I can fit into one protector? And would these also work to keep stickers and die cuts ( on the assorted size) ?? By: dajvaldez (24-May-16) Helpful Question? Yes | No Thank you! Report Inappropriate This question has been reported. Thank you! See cutoutsbyconnie review. Yes, they are good for storing empty card stock pages. You can get 8-10 single 12 X 12 card stock pages in the sleeve, after that it starts to bend. I was able to fit 10 pages in with 10 sheets of stickers and it fit very nicely. Obviously it all depends on the thickness of the items you're going to put in there, but even with 8-10 pages of card stock, you can get a good number of other items in as well before the sleeve starts to bend. Hope this helps you out! By: reenypea (06-Aug-16) Helpful Answer? Yes | No Thank you! Report Inappropriate This Answer has been reported. Thank you! Hi! I assume that these new page protectors will also fit the post ablums also. Is this correct? By: sail52 (17-Nov-14) Helpful Question? Yes | No Thank you! Report Inappropriate This question has been reported. Thank you! Unfortunately, these will not fit into the Post Bound albums. By: Amber Boren (03-Dec-14) Helpful Answer? Yes | No Thank you! Report Inappropriate This Answer has been reported. Thank you! 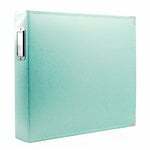 These don't have a spacer like post-bound protectors, so I think these will just work for all of your 3-ring or D-Ring binder albums. By: MonthOfMay (17-Nov-14) Helpful Answer? Yes | No Thank you! Report Inappropriate This Answer has been reported. Thank you! Has anyone mentioned using that to store stencils? The pages are a bit large for some, but would be perfect for others. By: artheartstart (18-Oct-16) Helpful Question? Yes | No Thank you! Report Inappropriate This question has been reported. Thank you! 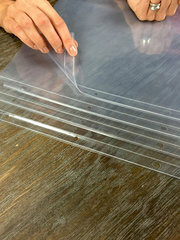 I have only used the page protectors for scrapbook pages. I did have one rip at the seam when I was inserting a scrapbook page. By: Kentuckywoman66 (21-Oct-16) Helpful Answer? Yes | No Thank you! Report Inappropriate This Answer has been reported. Thank you! Can these be used with the fuse tool? By: User (14-Jun-16) Helpful Question? Yes | No Thank you! Report Inappropriate This question has been reported. Thank you! Yes, see Terri Spencer's review where she talks about using the fuse tool with these page protectors. By: reenypea (06-Aug-16) Helpful Answer? Yes | No Thank you! Report Inappropriate This Answer has been reported. Thank you! Hi! 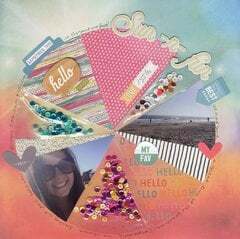 Has anyone went from the Creative Memories style scrapbooking to ring albums with page protectors and if so do you like it better and why? By: mzperky (28-Dec-15) Helpful Question? Yes | No Thank you! Report Inappropriate This question has been reported. Thank you! I am one of those that converted! I have been extremely happy with the 3-ring albums. I use We R Memory Keepers pretty exclusively now. They are so versatile. It's much easier to add material in even after you have "finished" a book (overall, I think they allow for more material in a single book too!). Also, there are 4x6 photo insert pages (12 photos to a page front and back) that make things go even quicker. We have a huge volume of photos, so I don't have as much time to be super creative with every single topic. Having the option of just slipping photos into the sleeve pages is wonderful, but if you want, you can even be creative with those as well! 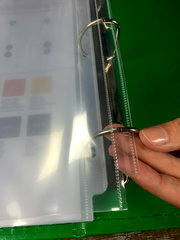 And, for those pages where you need a solid sheet (that can then go into the page protector) these 3-rings are fabulous! They allow for a greater variety of page types within the same book. I haven't looked back since CM fell off the radar. Good luck!! By: samma07 (29-Dec-15) Helpful Answer? Yes | No Thank you! Report Inappropriate This Answer has been reported. Thank you! I switched from Creative Memories to 3-ring scrapbooks a number of years ago because as I scrapbook for 5 grandkids, I need to easily add to past sections without the hassle of undoing hinge -type or post bound books. I love the 3-ring style By: Linda Myers (20-Jun-17) Helpful Answer? Yes | No Thank you! Report Inappropriate This Answer has been reported. Thank you! Hi! I'd like to know if these are slightly larger than normal 12*12 protectors since my scrapbook pages often tend to be quite heavily embellished 3-dimensional pages? I got larger page protectors last time which worked really great but I don't remember which brand they were so am frustrated now! By: User (16-May-15) Helpful Question? Yes | No Thank you! Report Inappropriate This question has been reported. Thank you! They measure 12 1/8 wide and are 12 1/4 deep. Hope this helps. By: tlgens27 (18-May-15) Helpful Answer? Yes | No Thank you! Report Inappropriate This Answer has been reported. Thank you! Are these page protectors strong enough to slit when using flip flops by close to my heart? (Often It is necessary to slit the page protector to access what is inside or to pull pictures through, so i'm wondering if the plastic is heavy enough.) By: Colleen1953 (17-Nov-14) Helpful Question? Yes | No Thank you! Report Inappropriate This question has been reported. Thank you! I don't recommend putting a slit on these protectors. I sometimes put the flip flops on the outside. ctmh protectors are thicker so one can put slits in them. By: skmtdgns (18-Nov-14) Helpful Answer? Yes | No Thank you! Report Inappropriate This Answer has been reported. Thank you!